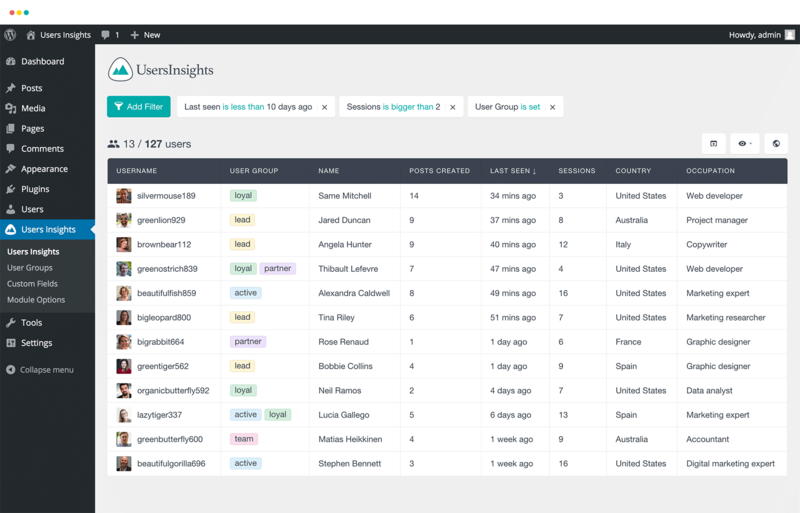 Users Insights gives you the tools to easily search, segment and analyze your users data, so you can understand your WordPress users like never before. Discover who your users are and how they interact with your WordPress website with Custom User Profiles. All the information that you need about your users in one single page. From the default WordPress user data, such as username, e-mail and date registered, to the additional information that Users Insights generates, such as geolocation, user groups, number of sessions, last seen. Because not every business is the same, we have added an option to add your own custom user fields that allow you to record information that is specific to your users, right from the user’s profile section. The custom fields data is automatically added to the users table and you can filter your user list by any of your custom fields. Share internal notes about your users with your team. The Users Insights notes feature allows you to add custom notes to each of your WordPress users. The notes are in the form of a short text-based message and you can add as many notes to a user as you like. They can be used for all kind of information, like user preferences, logging phone calls or documenting conversations with the user. Organize your user management with User Groups. The Users Insights user groups feature allows you to easily create custom user groups and assign one or more groups to each WordPress user. 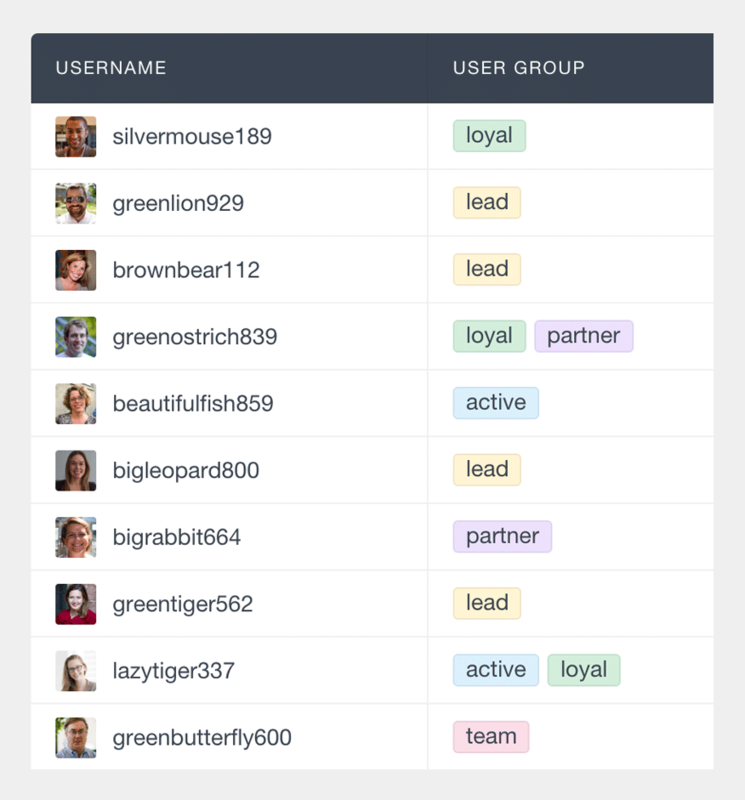 Once the groups are created and assigned, they are displayed in the user table and you can also filter your users by the groups that they belong to. Dig deep into your WordPress users data with the Users Insights smart filters feature. Find where your WordPress users come from and fIlter your users by country, city or region. Filter your users by number of purchases made, products purchased or last purchase date. Detect and record what devices your users use to visit your WordPress website. Find your most active users, how often they show up and what content they have created. With the Users Insights Custom Fields feature you can easily create custom user profiles.